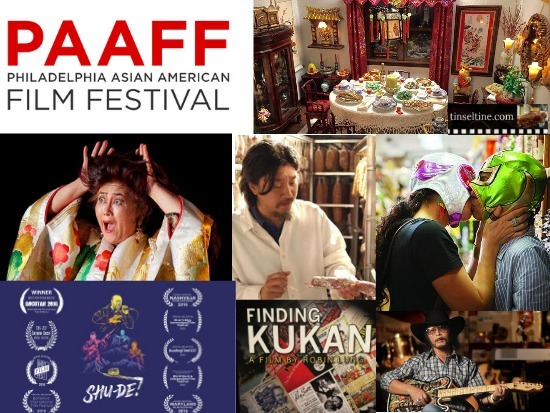 Philadelphia Asian American Film & Filmmakers is a volunteer run nonprofit organization founded in 2008 to educate and expose the Philadelphia region to films by and about Asian Americans through year round events, primarily the Philadelphia Asian American Film Festival (PAAFF17) November 9-19, 2017. This year’s Festival highlights the long but largely unheralded history of Asian Americans in the film industry; beginning with the opening night film, a screening of the rarely seen and recently restored silent film The Dragon Painter (1919), starring Japanese immigrant Sessue Hayakawa, and featuring an original live score by singer/songwriter Goh Nakamura. 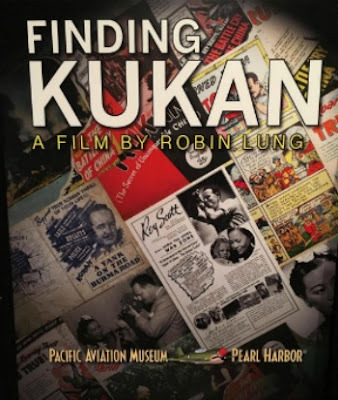 The Festival’s centerpiece documentary, Finding Kukan, tells the story of the almost lost 1942 Academy Award-winning documentary and its uncredited Chinese American producer, Li Ling-Ai. The closing night program, focuses on Chinese French stories, exploring the boundaries of diasporic Asian American film. Date:Saturday, Nov. 11 | Time: 2:45–4:15pm | UPenn As part of the Asian Americans in Early Hollywood Retrospective at PAAFF17, this panel is designed to explore in greater detail the significant contributions of actors like Sessue Hayakawa, Anna May Wong, Sabu Dastagir, Philip Ahn, Keye Luke, and others who paved the way for future generations of AAPI performers in American Cinema. Moderator: DR. PETER X FENG teaches film, literature, ethnic studies, and gender studies at the University of Delaware; his books include Identities in Motion: Asian American Film and Video, Screening Asian Americans (editor), and Chinese Connections: Critical Perspectives on Film, Identity, and Diaspora (co-editor). Panelists:STEPHEN GONG, Executive Director of the Center for Asian American Media has served in his current role since 2006. 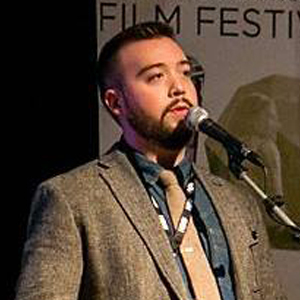 Stephen’s lifelong media advocacy has allowed him to work with institutions such as Pacific Film Archive, National Endowment of the Arts, and American Film Institute. Stephen also discovered the sole surviving print of The Dragon Painter that was reconditioned for DVD release and is an expert on Sessue Hayakawa. PEILIN KUO is an award-winning filmmaker born in Taiwan and based in New York City whose films have screened at Sundance, Cannes, and LA Asian Pacific Film Festival. Her new project is a feature length biopic of the first Chinese American actress Anna May Wong. IMRAN SIDDIQUEE is a writer, filmmaker, and activist working to transform how gender and race are represented in the media. He helped start The Representation Project, where he led nationwide campaigns to call-out sexism in the media. In 2014, he gave a TEDx talk called “How Hollywood Can Tell Better Love Stories,” and his 2015 short film, Love Reset, was aired by MTV. His writing has been published by The Atlantic, Buzzfeed, Salon, Mic, and other publications. ROBIN LUNG is a 4th-generation Chinese American raised in Hawai‘i and director of Centerpiece Documentary Finding Kukan. Robin has spent over fifteen years bringing untold minority stories to the screen, and several of her past films have aired nationally on PBS. T&T: How did the Conference come to be a part of the film festival? RB: This is the second year that PAAFF has hosted an academic conference as part of the film festival. Since myself and several of the other volunteer staff are teaching faculty at a few of our local academic institutions, it made sense to incorporate this into the festival in some capacity. Also one of PAAFF's primary goals has always been to educate people about the many diverse immigrant groups who make up the Asian American and Pacific Islander community, so hosting a conference gives us a designated space to delve into these subjects beyond the screen. This year's conference specifically addresses the notion of art as activism, seeking to explore the role that Asian American and Pacific Islander artists have in progressing conversations around social justice issues. The political climate has undeniably shifted in the wake of the 2016 Presidential campaign to be more openly hostile to peoples of color and immigrants specifically, so the art and artists of our community have an even more important role in this challenging time. T&T: What do you hope people will take away from the conference? And how do you see that differing for Asian-Americans and Non-Asian-Americans? RB: Both Asian Americans and non-Asians alike will be able to engage with a variety of topics that challenge them to consider art for its most utilitarian purpose; to disrupt and challenge the status quo. While the majority of speakers are Asian American much of their work extends beyond this community, and conference attendees will be able to relate their own experiences to that of the panelists. If nothing else, I hope that our conference attendees will leave with an understanding that film and art have far more to offer than entertainment. T&T: Among the films screening at PAAFF17 which would you consider the most surprising? most enlightening? and most fun? RB: Most Surprising - is probably Shu-De! 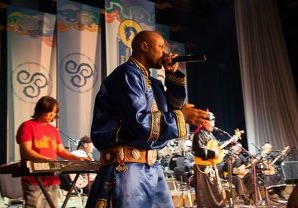 a feature documentary about Baltimore-based African American beatboxer Shodekeh who journeys to Tuva (semi-autonomous region of Russia near Mongolia) to participate in a throat-singing competition. While the scenario is somewhat unexpected to begin with, what surprises me is how seamlessly Shodekeh integrates the traditional throat-singing techniques within his beatboxing in a respectful and interesting way. Most Enlightening- may be Finding Kukan, feature documentary about a Chinese American woman named Li Ling-Ai who produced a 1939 film that exposed wartime atrocities that Japan committed during the Sino-Japanese War and garnered US support for China. Filmmaker Robin Lung manages to track down the sole remaining copy of the film, resurfacing the story behind its creation and the incredible woman who made it. Most Fun- is probably Signature Move, a romantic comedy about a Mexican-Pakistani American lesbian couple. An emotionally repressed Pakistani American woman named Zaynab lives with her recently widowed mother Parveen, a devout Muslim who spends her days watching TV dramas and trying to find her daughter a husband. Zaynab begins a lesbian romance with free-spirited Mexican American Alma, and confrontation with her mother seems inevitable. Zaynab copes by becoming a Lucha-style wrestler.